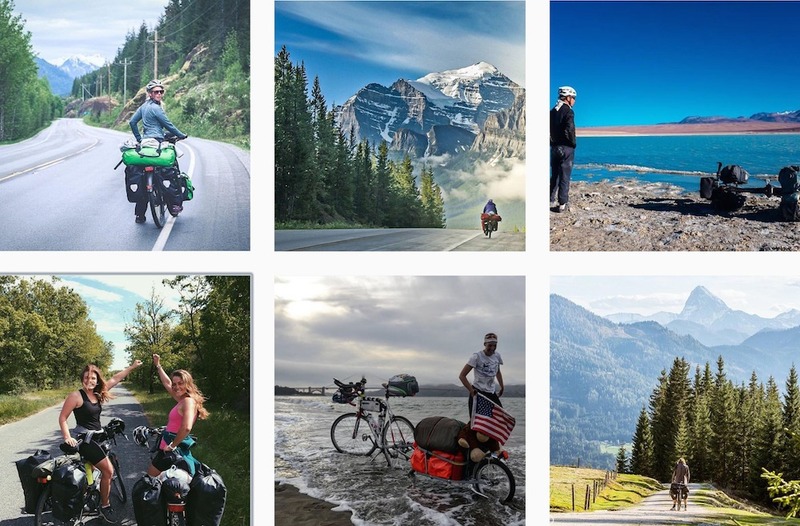 I’ve been wanting to share the best bicycle touring Instagram accounts for some time, but it’s always so hard to choose only a handful when there are SO many great accounts out there. Although this seems like a simple list, I’ve spent hours ensuring that these accounts are exemplary and therefore worth your follow! Don’t know much about Instagram? Well, it’s a social media platform that focuses on instant visual gratification. I’m a sucker for it; you’ll probably be a sucker for it too. The brilliant thing about it is that you can see lots of inspiring photos, based on topics you like, in quick succession. You can also search hashtags based on specific wording to find images from certain locations, events or categories. Image Diversity – I enjoy a wide range of photographic styles from each user. Consistently Great Content – Given the sheer number of Instagram accounts, every photo needs to be awesome. Regular Uploads – It’s preferable to have a slow drip-feed of imagery, rather than a bulk upload. Engaging Blurbs – Although Instagram is all about the imagery, a short engaging blurb is a cherry on the top! 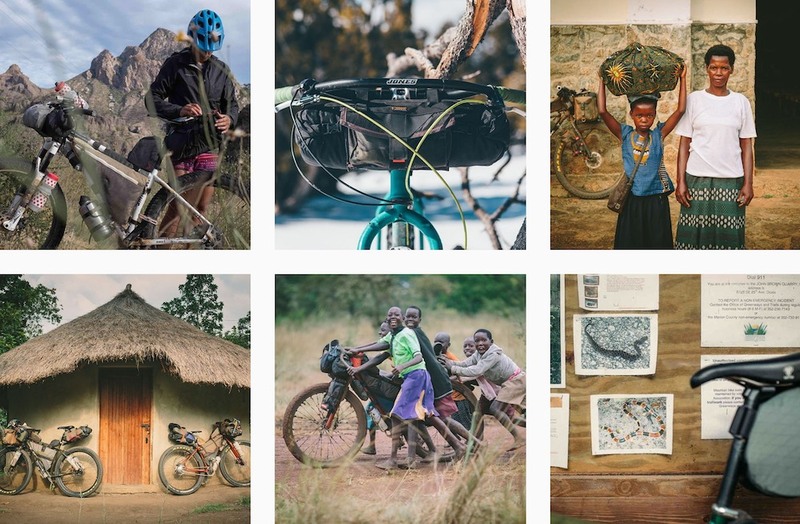 Sample images from the @WorldBiking Instagram account. Amaya and Eric (@WorldBiking) have been cycling around the world for 10 years now. Amaya is an absolute wizard on the camera, and is definitely one of my favourites for bicycle touring content. Sample images from the @thebikeramble Instagram account. Fredrika (@thebikeramble) is a Swedish girl who’s been cycling 46,000km through 42 countries. Her photos are nothing short of breathtaking! Sample images from the @ryohei_oguchi Instagram account. Rio (@ryohei_oguchi) cycled 155,000km through 157 countries, finishing in 2016. Despite no longer travelling, he is still uploading photos and stories to Instagram. Sample images from the @Mayu_elliot Instagram account. Mayu and Elliot (@mayu_elliot) have been travelling since 2015. 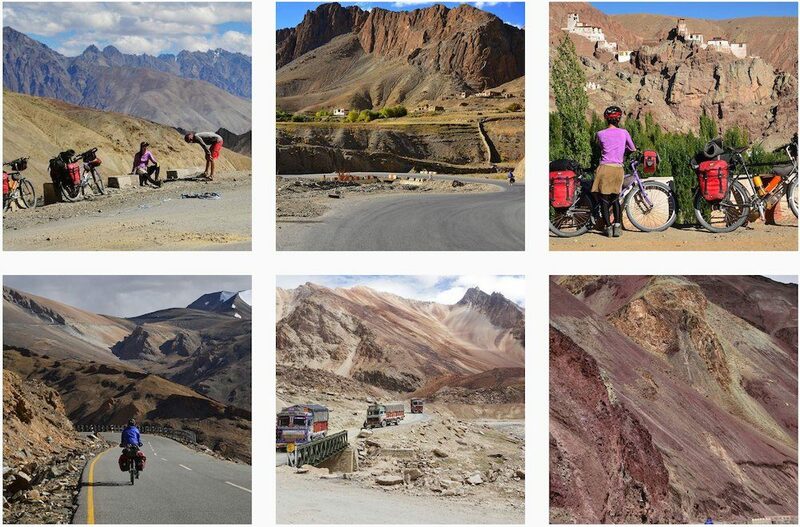 They’ve recently been cycling through Africa, Central Asia and India. Sample images from the @MarinoNicolas Instagram account. 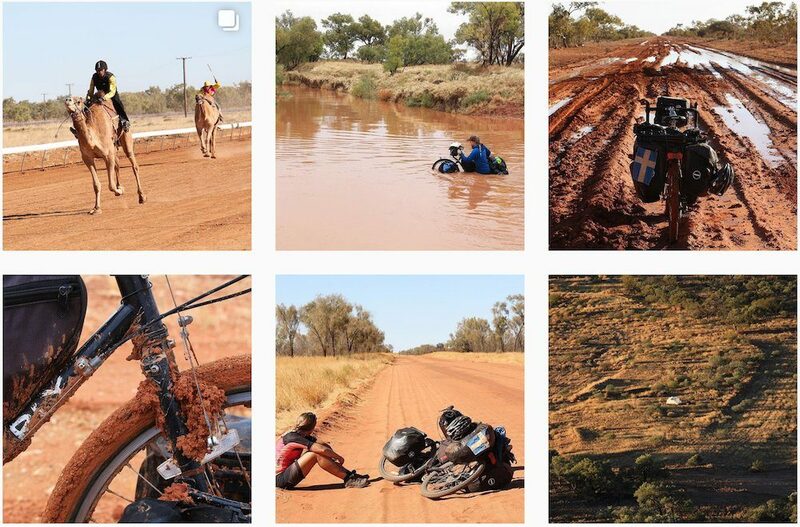 Nico (@MarinoNicolas) is a professional photographer who has ridden over 60,000km since taking off on a bike tour from China in 2012, covering Asia, Africa and now Australia. Sample images from the @TalesOnTyres Instagram account. Franzi and Jona (@TalesOnTyres) are currently zigzagging their way down the American continents, from Alaska to Patagonia. 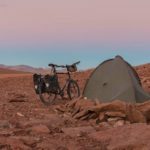 They have recently changed from touring bikes and panniers to mountain bikes and bikepacking bags, in order to explore the path less travelled. Sample images from the @Mairawa Instagram account. Ann Johansson (@mairawa) is exploring the world by bicycle. She rode from Sweden to Tajikistan in 2015, and Sweden to New Zealand in 2016-17. Sample images from the @LostCyclist Instagram account. 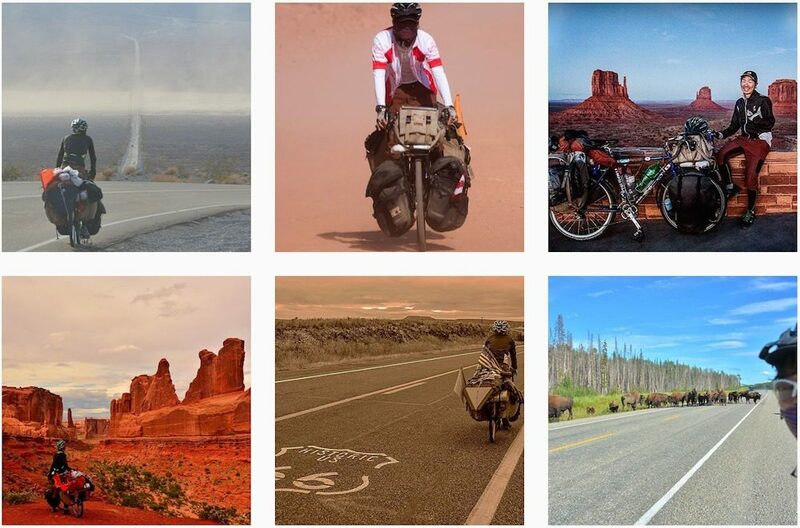 Lars (@LostCyclist) has ridden through 96 countries and covered some 96,500km along the way! His photos cover a diverse range of conditions from heavy snow to vast desert. 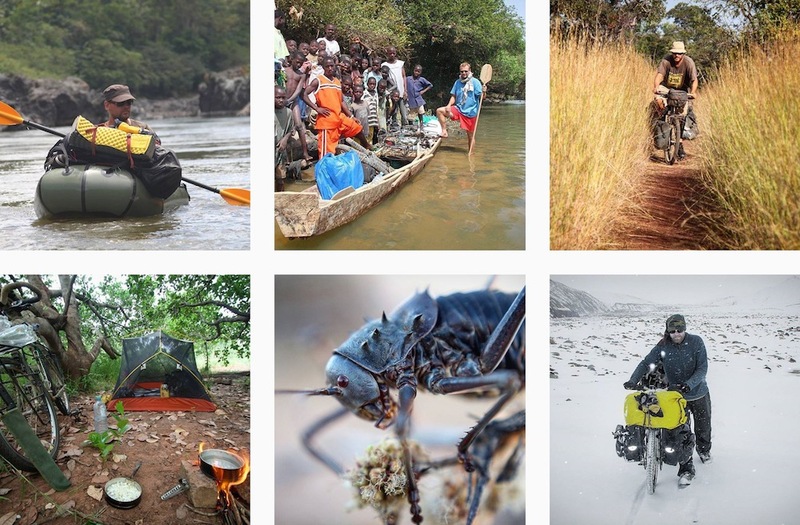 Sample images from the @WhileOutRiding Instagram account. Cass Gilbert (@whileoutriding) has been cycling all over North and South America as long as I can remember. His landscapes are always on point! 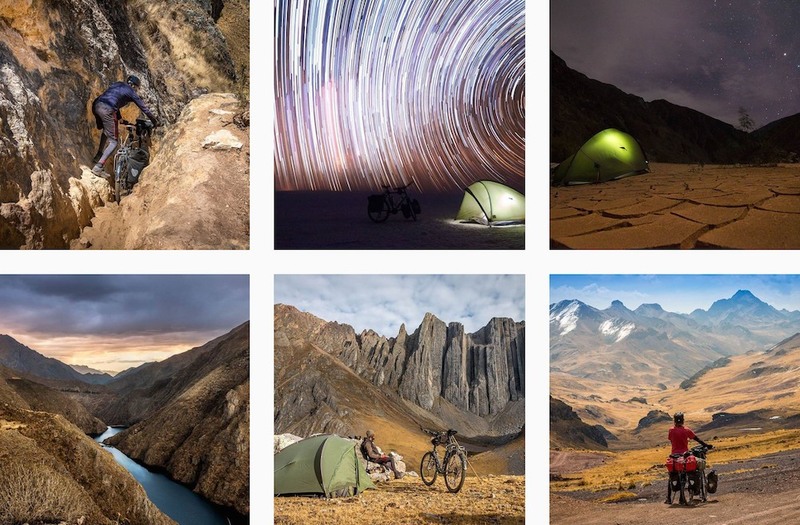 Sample images from the @BikepackingCom Instagram account. 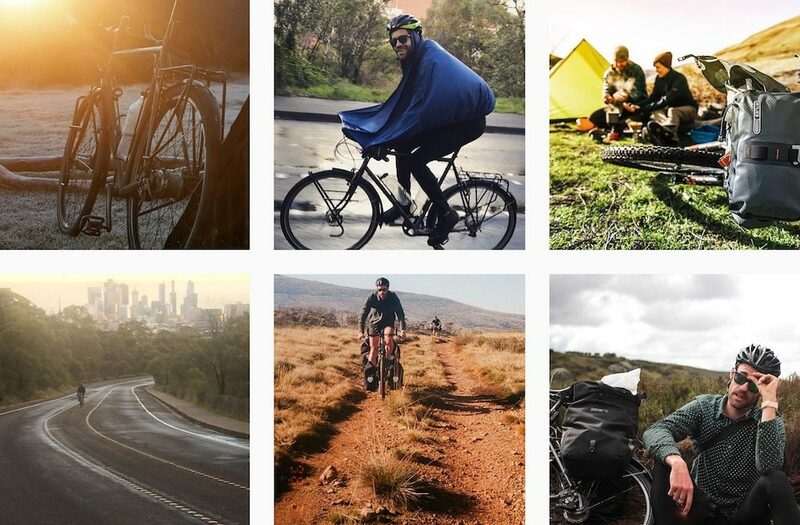 The BIKEPACKING.com crew (@BikepackingCom) run a wonderfully curated Instagram account that covers bikes, gear and trips. 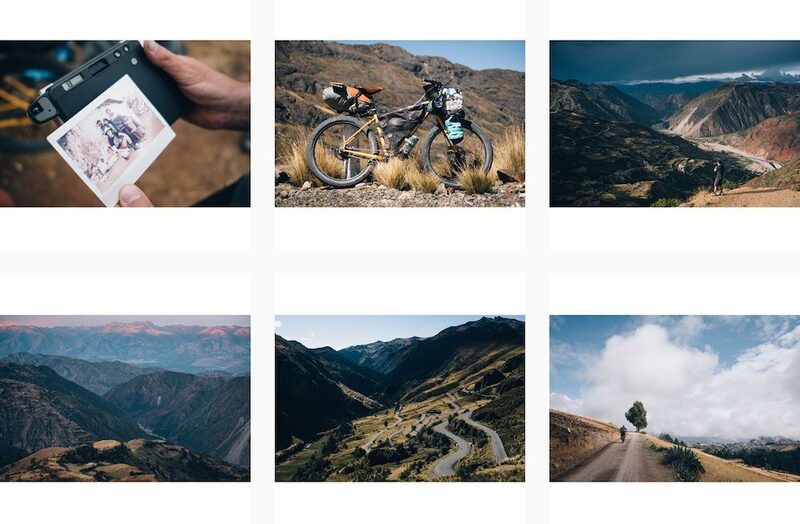 Sample images from the @AboutACyclingTrip Instagram account. Jonas (@AboutACyclingTrip) has been on the road for two years, having cycled SE Asia, Australia and New Zealand. 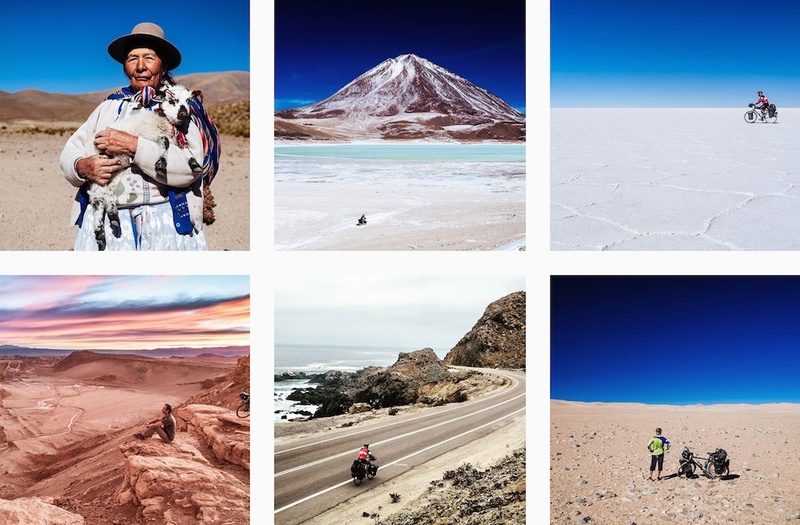 He is currently on his way up South America and has lots of great photos from along the way! Sample images from the @PeteGost Instagram account. 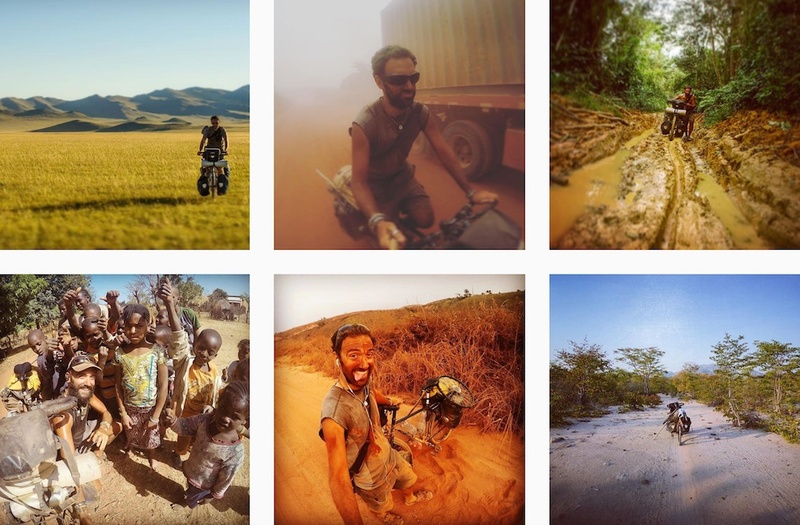 Peter Gostelow (@PeteGost) has completed over 100,000km through 65 countries on his bike. He normally writes a short blurb about his experiences in each of the photos which can be really insightful. Sample images from the @Justin.Bill Instagram account. 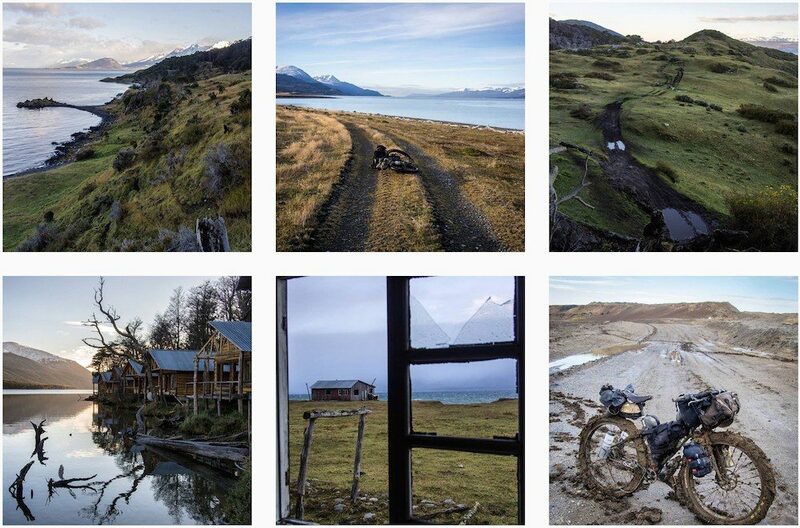 Justin Bill (@justin.bill) spent two years cycling from Canada to Argentina and is now exploring western USA. His imagery is often beautiful landscapes with a bike hiding in the distance. 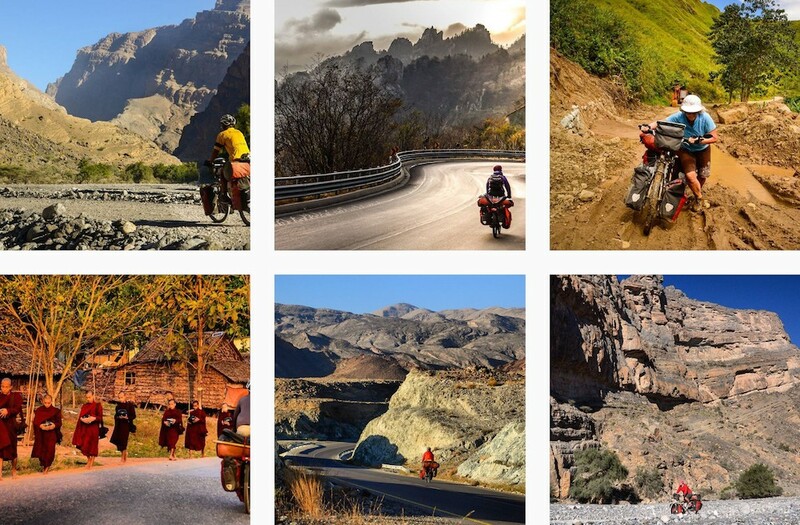 Sample images from the @KamranOnBike Instagram account. 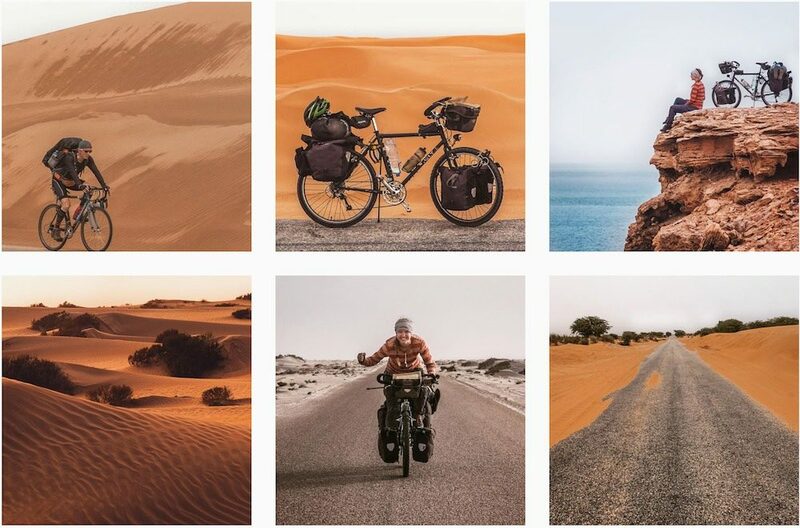 Kamran (@KamranOnBike) is a professional photographer who has ridden through 32 countries by bike and is currently travelling from Argentina to Alaska. His photographic style is incredible! 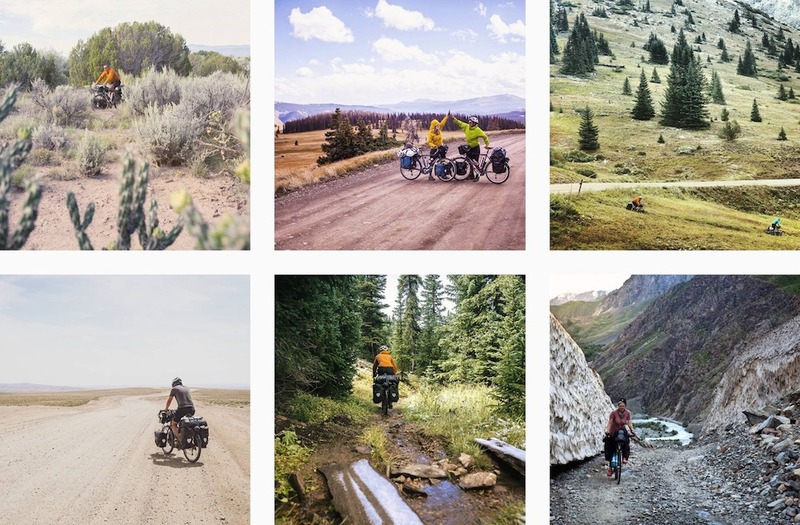 Sample images from the @BikeTouring Instagram account. 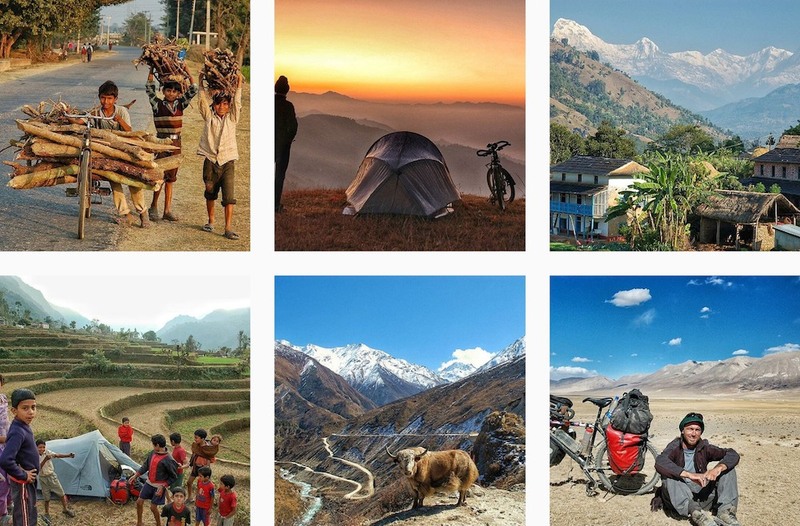 @BikeTouring is an account which reposts the best bicycle touring images on Instagram. The person behind this account spends a lot of time finding some incredible photos from around the world. Sample images from the @BikeWander Instagram account. 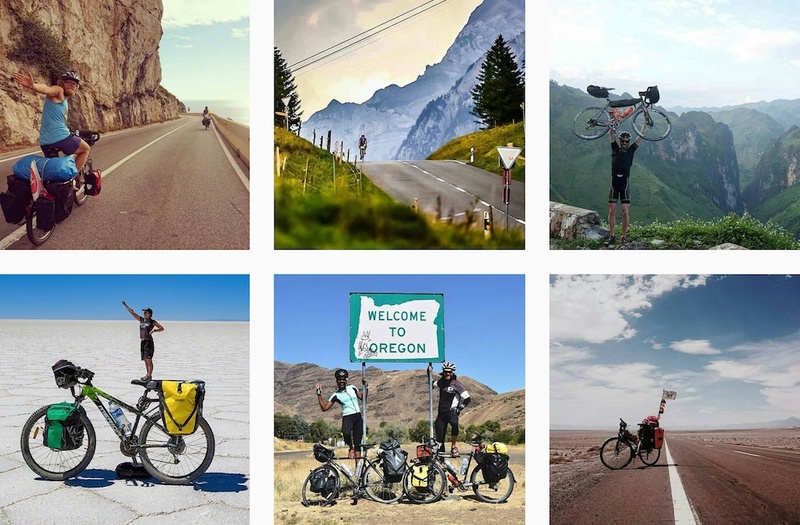 @BikeWander is another popular account which has been curated to find the best bicycle touring images from Instagram. It’s always a great way to find other bicycle touring accounts! Sample images from the @CyclingAbout Instagram account. The @CyclingAbout Instagram account tends to be a mixture of images from my adventures, plus whatever I’m writing about. What’s Your Favourite Instagram Account To Follow?